Happy Halloween!! I love this time of year, as you probably know by now. However, I am not always in to the obvious, orange-orange-orange Fall look that is so excepted. 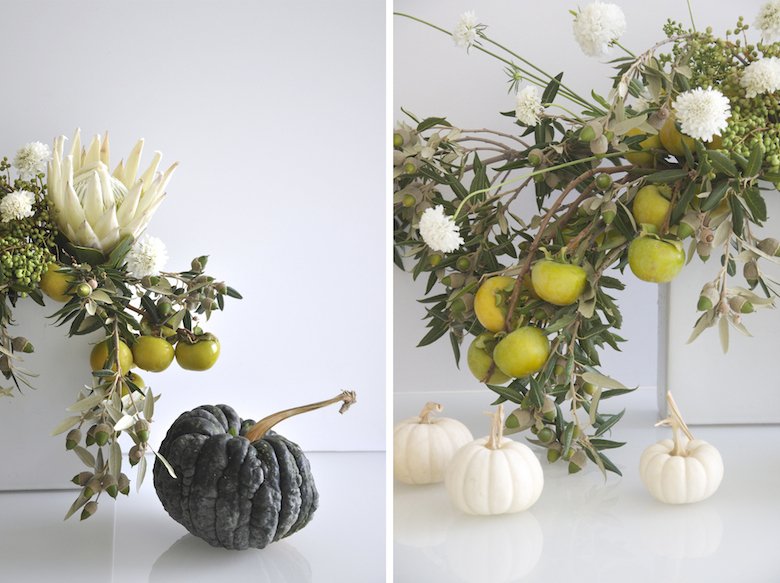 This month for our Blooms in Season shoot I played with a seasonal look that did not follow the usual color palate. 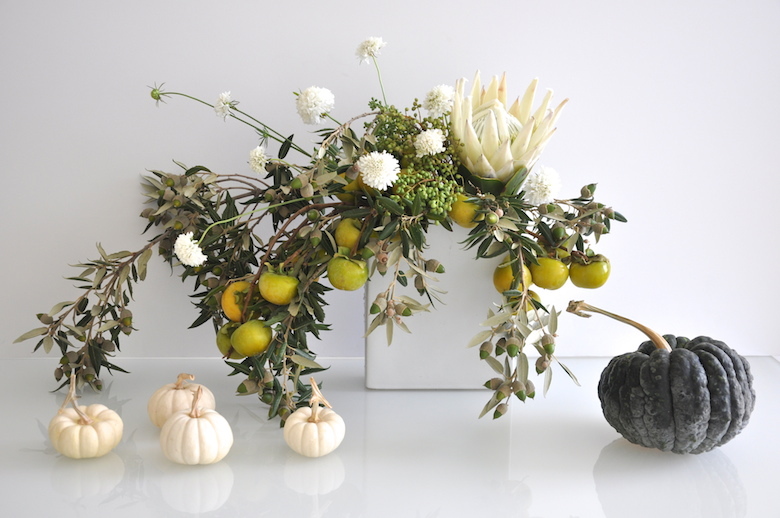 I played with pretty textures and shades of green, white and chartreuse to create a look that fells appropriate for the season and still says BOO!